Natalie Kleinman Freelance Writer: What a Week!!! I was invited to join the Romantic Novelists’ Association (RNA) committee for the pre-Winter Party lunch. I felt extremely privileged and would again like to thank Pia Fenton and her committee for asking me to join them. Having eaten far too much, helped down by some rather nice red wine, I absented myself while they held their scheduled meeting. How any of them could have concentrated on work after such a lovely meal I am at a loss to understand. With plenty of time to get to a scheduled meeting with my agent, Lisa Eveleigh, I walked along Piccadilly (the weather was lovely) and side-stepped into Fortnum and Mason for a quick browse, as you do. Once in Dean Street Lisa and I had rather a lot to talk about and, while she daintily sipped her tea, all I could manage was some water. I blame the lunch. Amongst other things we discussed the events of the coming Thursday – about which more below. After parting company I retraced my steps to the Royal Overseas League and settled down behind the reception desk with Sally Quilford (party organiser) and Elaine Everest (RNA committee member with whom I co-run the RNA Blog). This turned out to be an inspired move as, while handing out name badges and lanyards, I had ample opportunity to meet the majority of the guests and spoke to many of them from the comfort of my chair. Thursday – launch day as opposed to lunch day. Official publication date for Safe Harbour (shameless promotion here). Full on, exciting and an affirmation of what a wonderful group of people the writing community is. 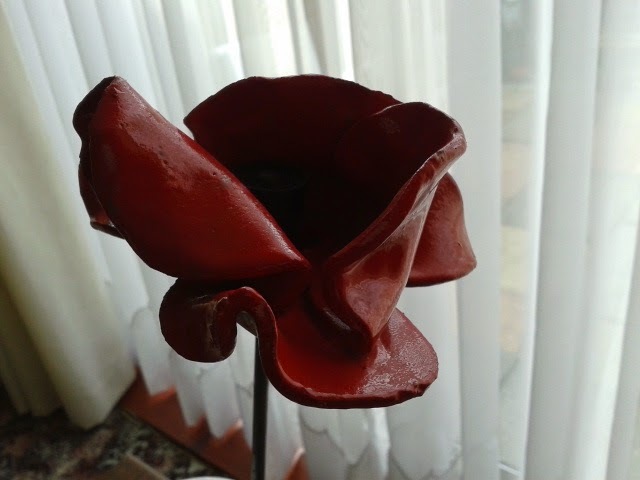 To complete my day my poppy from the Tower of London arrived. What a wonderful idea this was and I now have a perfect reminder for those times when, as we all do, I get things a little out of perspective. Friday – rest…come on, give me a break here. Weekend – belated girls’ lunch birthday celebration. Enough about me. 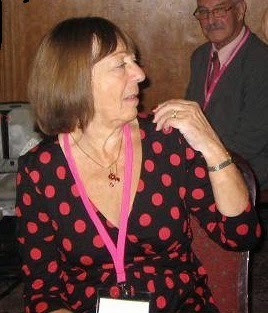 Next week my first guest on the blog will be Elaine Everest to tell us about what a whirlwind year she has had. No, I’m not giving anything away now. You’ll have to pop in again next Monday if you want to know! You have had a really busy week! Lovely to meet you at the RNA party. What a wonderful week you've had! Now calm down and have a cup of tea! It isn't a myth about a cup of tea, Elaine. I must admit though that I'm enjoying all the excitement. Now all I have to do is learn to manage with less sleep! Sounds fantastic and being so busy ensured that the luncheon calories would have been well and truly burned off. I have to agree with you.... being a novice in the writing world, I have never met such gracious and friendly people. We are lucky. Here's to another exciting week.